On Thursday night, there were two games featuring teams on the conference tournament bubble taking on teams that were tied at the bottom of the Big Sky. 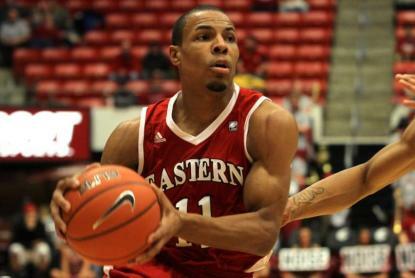 In the first game, Eastern Washington had a battle with Northern Arizona, ultimately winning a big game 74-68. It was in no way a pretty win, as they trailed by as many as nine in the second half, but they got the job done and gutted it out. It moves them to 5-5 in the Big Sky and alone in fifth place in the conference. Four guys scored in double figures for the Eagles, including 11 in the second half from true freshman Parker Kelly, who hit big shots and big free throws down the stretch. On a night where the Eagles shot just 35% from the field, they must be happy to have escaped with a win. For NAU, it is their second straight tough defeat at home. On Monday, they fell in OT to Northern Colorado, and here they were not able to hold onto a solid second half lead. Ephraim Ekanem had perhaps the best game of his career, throwing in 15 and 7 for the Lumberjacks, but the team struggled down the stretch when both he and Durrell Norman fouled out. Eastern Washington will host Sacramento State on Saturday, while Northern Arizona will host Portland State. In the other matchup, it was Sacramento State traveling to Greeley and really beating Northern Colorado from the get go. The final was 73-62, and the Hornets led throughout the game, much of it by a margin of double digits, which certainly gave the feel that the game was never really in doubt. The Hornets shot the ball well, as they were at 50% for the game. Dylan Garrity had one of his most complete games of his career, scoring 16 points and dishing out 9 assists. Since he was the guy that most likely would have been guarded a lot by Elliot Lloyd, it is safe to say that Lloyd's presence was missed. Joe Eberhard and Jackson Carbajal were also in double figures. For UNC, the story of the game was their free throw shooting. They finished an abhorrent 11/28 from the stripe, and that was AFTER a 6/8 run late in the game. They started the game 5/20, which almost boggles the mind. In comparison, I am reasonably certain that I could make more than 5/20 if I shot free throws with my left hand (I am right-handed). Tevin Svhihovec led the team with 19 points, while Connor Osborne chipped in 11. It was a tough loss for the Bears, because you have to win the home games you are favored to win if you want to go to the conference tournament. The loss drops them to 4-6 in the Big Sky, tied with Portland State for sixth. 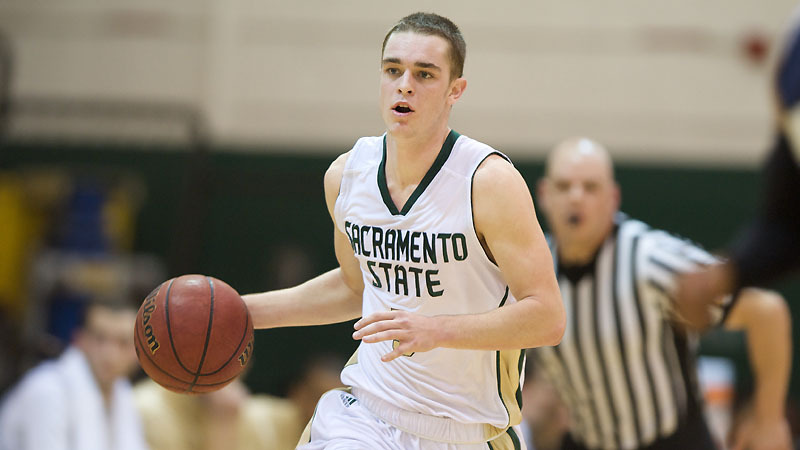 Sacramento State moves to 2-8, and with six conference games to play, they are two back of sixth place. It is still a bit of a long shot to make the tournament, but not nearly as long of a shot as it would have been a week ago. At the very least, with two convincing wins, they can't be counted out yet. What were your impressions of the game?